Anise had her summer plans locked down. She was going to spend her days surfing and lazing about the beach with her best friends, as this was the last summer they all would be together. All her plans are destroyed, when Anise's aunt is in an awful car accident, that leaves her with two shattered legs and three pre-teen children to fend for themselves. Anise and her father heed the call of family obligation, and jet off to Nebraska to help as her aunt recovers. Being far from home sets Anise a drift as she attempts to navigate this new life away from everything she knows. "But maybe that's part of what family is -- loving people you have nothing in common with." I pretty much plowed through this book. I found the story interesting, amusing, touching, realistic, and relatable. I fell in love with many of the characters, and found that it was terribly important to me, that Anise resolve her various issues before the end of the book. Or, at least resolve some of them. I needed her to move towards healing, so that she could get out from under that cloud and shine. Bottomline: I was totally invested in her. "I wonder if, when you have children, your DNA mutates so that you'll do anything to make your kids happy........I wonder if my mom's DNA forgot to mutate." Anise was a pretty great person. She was athletic, competitive, a good friend, a great cousin, a wonderful daughter, but she struggled with several issues that held her back. First, she grappled with her abandonment issues. Her mother apparently had some serious wanderlust, and would drift in and out of her life. This gouged a huge hole in her heart, and made Anise afraid of leaving her home and her friends. She feared that she was just like her mother, and that if she left, she would just disappear, and never to return. This robbed her of experiences, and planted a lot of doubt in her mind, which later complicates things with her friends. "The irony doesn't escape me that my mom's favorite sport is running." Not to fear, though. Silverman filled this story with some stupendous characters, who were there to help Anise wade through these difficult waters. Her best friend, Tess, is very different from Anise, but compliments her in so many ways. She is steadfast and forgiving, but also very honest. Everyone needs a BFF like that, who will keep them centered and dust them off when they've fallen down. Anise also had a wonderful father. His world was also shaken when his wife deserted their family, and she left him to care for their young child on their own. He rose to the challenge, and provided Anise with a great upbringing. He was open and was able to face those difficult topics with his daughter. He was just a wonderful dad. I saved the best for last - Lincoln. Lincoln was so, so special. Every page he inhabited sparkled and shined. His personality, his smile, his dimple, his lust for exploration -- it was all so infectious. When he was with people, he always made them a better version of themselves. Lincoln knew when to approach and retreat when dealing with Anise. He helped her dig deep and face those hard truths that she needed to confront in order to move on and free herself. He called himself a "skateboarding evangelist", and there was definitely some truth in that statement. In addition to simply being an amazing human, he represents people with disabilities and adoptees and so much more. He was by far my favorite character in this book. I sort of love all the ways you can interpret this title with respect to Anise and her story. There is the literal, that when Anise has to leave her beloved beach and go to Nebraska, she finds herself more or less landlocked. I am not a beach person, but the way Anise waxes poetic about the ocean, the feel, the sounds, even made me sort of wistful for it. The ocean was her comfort zone. There she had mountains of confidence and could easily navigate the waters. She was also able to carry this confidence onto the sand, but this was all stripped away in Nebraska. Without the ocean, the beach, and surfing, Anise seemed to lose her identity and her confidence. She was unnerved as she was thrust into new situations, and was slow to acclimate. Then there is the figurative "out of water". Anise was thrust into many new situations in Nebraska with all her new roles, and this led to many internal struggles. I was so happy with how Silverman allowed Anise to grow and find her way. 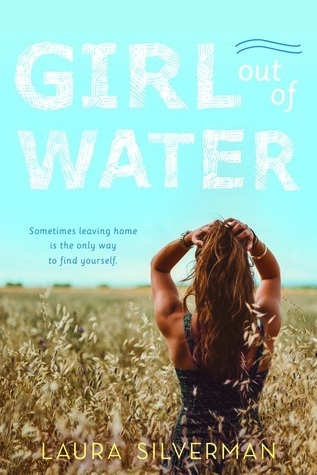 It was a rocky journey, but she was definitely in a better place at the end of the story, than at the beginning, and that is what I expect in a good YA book. Overall: A charming coming of age story filled with character who pop off the page and touch your heart. **I would like to thank NetGalley and the publisher for the advanced copy of this book. Do you surf or skate or do you want to try it? This Saturday, the CPK and I are reading Perennials: A Novel by Mandy Berman . At what point does childhood end and adulthood begin? Mandy Berman s evocative debut novel captures, through the lens of summer camp, a place that only appears to be untouched by the passing of time, both the thrills and pain of growing up. Rachel Rivkin and Fiona Larkin used to treasure their summers together as campers at Camp Marigold. Now, reunited as counselors after their first year of college, their relationship is more complicated. Rebellious Rachel, a street-smart city kid raised by a single mother, has been losing patience with her best friend s insecurities; Fiona, the middle child of a not-so-perfect suburban family, envies Rachel s popularity with their campers and fellow counselors. For the first time, the two friends start keeping secrets from each other. Through them, as well as from the perspectives of their fellow counselors, campers, and families, we witness the tensions of the turbulent summer build to a tragic event, which forces Rachel and Fiona to confront their pasts and the adults they re becoming. A seductive blast of nostalgia, a striking portrait of adolescent longing, and a tribute to both the complicated nature and the enduring power of female friendship, Perennials will speak to everyone who still remembers that bittersweet moment when innocence is lost forever. 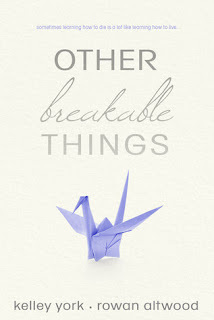 This book sort of has the feel of The Interestings by Meg Wolitzer, which I loved. 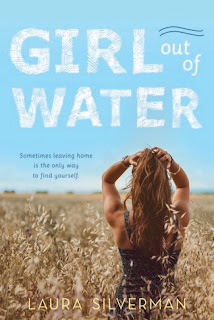 It is an interesting character study, which focuses on Rachel and Fiona, two people from very different circumstances, who wouldn't be friends had they not attended camp together. The early part of the book gives us a look into their last summer as campers. Then, the story jumps ahead six years, when the girls are back at Camp Marigold as counselors. I am already starting to see how their relationship has changed, and how both Rachel and Fiona have taken divergent paths. Berman is also spending quite a bit of time of some peripheral characters. I am not sure why she is, at this time, but I am interested enough to keep reading. This blurb from GoodReads really encapsulates the essence of this book into a nice, concise statement. When the four main characters are each found with a cell phone in their bag, they earn an afternoon detention. Oddly, the cell phones didn't belong to them, and while they are serving their time, one of the attendees, Simon, dies. It all appears to be a tragic accident, until the police begin investigating them for murder. The investigation uncovers some incriminating evidence. It seems Simon was planning to publish each of their darkest secrets under the guise of juicy gossip. This reveal turns them from witnesses into suspects. This was such a great reading experience for me. The story pulled me in from page one, and I just wanted to keep reading and collecting clues. I did develop a hypothesis, which ended up being correct, (*pats self on back*) but that's half the fun when I read a mystery. I have seen that this was pitched as "Breakfast Club meets Pretty Little Liars" and I have to say, that is a great description for this book. "'She's a princess and you're a jock,' he says. He thrusts his chin toward Bronwyn, then at Nate. 'And you're a brain. And you're a criminal. You're all walking teen-movie stereotypes." 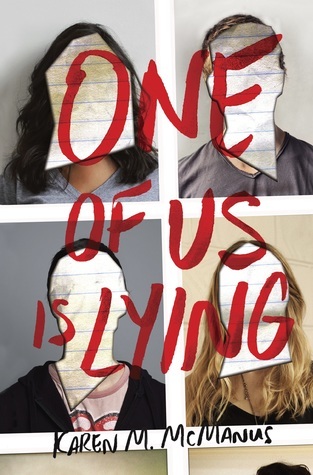 Each of the four main characters do fall into one of those typical high school cliques, but as the story plays on, we find out that there is a lot more beneath the surface of each character. They were all quite layered and well constructed. They all had such depth, and I thought McManus did a great job developing them throughout the book. I really enjoyed getting to know each of the characters as they dealt with the investigation and their secrets being revealed. I know having your deepest, darkest secrets unveiled publicly is not a positive thing, but the outcome for these characters was. Each of them was forced to admit the truth ,and face the consequences of the fallout once others learned of it. One character found her inner strength and independence, while another was able to feel more comfortable in his own skin. Two found love, while most of them found acceptance on some level. Some developed a reinforcement or renewal of family ties, but all of them experienced growth, and it was a positive growth. All four characters were a better version of themselves at the end of this book, and I always find that the mark of great YA story. Another great outcome, was that the four bonded together. This group of disparate teens became "the Bayview Four", and they were there for each other. In their quest to clear their names, they found friendship and more. And yes, there is a romance. *heart-eyes* Sorry, not sorry, but I always want a little romance. I don't care what kind of book I am reading, a little romance is always a good thing. This was a wonderful and meaningful romance, and by no means took away from the overall plot. It was well integrated, and a ship worth shipping. Seriously, at one point, about 63% through the story, the heroine goes on this rant about why she wants to try dating the hero, and it is the cutest, most adorable thing ever. I liked her already, but I loved her after that outburst. Overall: A riveting mystery filled with twists and turns, which had me hooked from page one. The Breakfast Club was a defining movie for me. I love it! 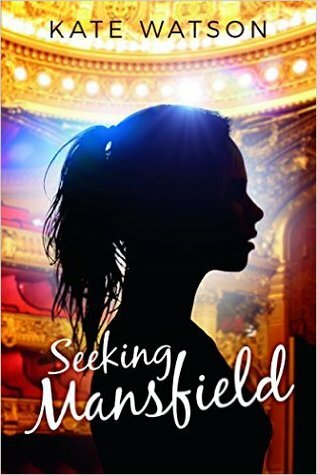 Seeking Mansfield is a modern retelling of Mansfield Park by Jane Austen. I will admit it right now: I did not read Mansfield Park, but I did see the movie, and therefore, had an idea of the story going in. Watson did a fine job with this tale. There is this spirit of the original story, but it is also a story wholly her own. Finley and her best friend, Oliver, were passing their time together. They were happy filling their days with homework on the roof, tours in Old Town, and movie marathons of terrible films. Then one day, they have new neighbors, and these new neighbors happen to teen movie stars, Harlen and Emma Crawford, who immediately shake up Oliver and Finley's norm. The sad stuff first. Finley was taken in by her godfather after her father's death and her mother's inability to properly care for her. I will not reveal more of the details here, because I want you to get the full impact of what happened to Finley. Knowing this background made me really appreciate the growth Finley experienced. There were so many couplings going on here. Initially, we knew that there were feelings brewing between Finley and Oliver. Once the Crawfords enter the picture, Emma showed an interest in Oliver, and Harlen took a liking to Finley. In-between all this, Juliet, Oliver's sister, attempted to ensnare Harlen even though she was dating Raleigh. Whew! So many romantic entanglements. I loved it! Our heroine, Finley, has a love for the theatre that runs ocean deep. She had a vast knowledge of the theatre and its inner workings, but kept most of that to herself. Her talents are slowly revealed, and she begins to believe she can earn a place in the prestigious Mansfield Theatre Youth program. Finley was such an easy MC to root for. There was a lot brewing under the surface there. At first glance, I thought she was a little wallflower, who let people take advantage of her. I believe I yelled, "She is not your Cinderella!! !, " at one point. As the story progressed, Finley grew stronger. She began to believe in herself, and she began to rely on herself. As she started to see herself differently, so did others. Oliver was quite the swoon worthy hero. He was there for Finley when she was at her lowest point, and he was very dedicated to encouraging her to go after everything her heart desired. He wanted her to realize her full potential and was just such a dedicated friend. I wish I had an Ollie in my life. Emma and Harley were interesting. I did not immediately like either of them, but they grew on me. I especially grew to love Harlen. He was quite the charmer. There was tons of great banter between Harlen and Finley. She seemed quite a suitable foil for him, and it was fun to watch that relationship blossom. This was a fine debut from Ms. Watson. Her writing was very pleasant and set an appropriate tone for the story. I easily flew through this story due to the good pacing, great characters, and easy nature of the writing. I look forward to reading more of Watson's work. Overall: a smile-inducing story of healing and self actualization with a great love triangle and a peek into the world of live theatre. 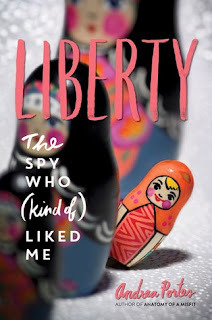 This week I can't wait for Liberty: The Spy Who (Kind of) Liked Me by Andrea Portes. Andrea Portes is back with a fast-paced, super-fun spy novel, told in her signature snarky, voice-driven style. I will not lie, the title totally caught me when I was perusing GoodReads. It said "fun" to me, and when I read the blurb, I knew I was right. There are also all these buzz words showing up in early reviews, which just make a read appealing to me: snarky, hilarious, silly, fun, caper. On top of that, it's a spy novel. I don't read a ton of spy novels, but they are always interesting with their gadgets and subterfuge. I haven't read this book yet, but I am already rooting for Paige, and hoping she is successful with her mission. Can we just get a round of applause for Tintera, as this book does not suffer not one iota from second book slump. 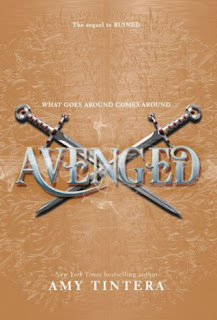 Avenged resumes the story with Emelina and the Ruined returning to Ruina. Em and Olivia must both adjust to being back as they develop a plan of how to restore their kingdom to its previous glory. Emelina hopes to rebuild, while Olivia is bent on revenge. Meanwhile, Cas is reeling from the death of his parents and the invasion of his own kingdom, but he also has to battle to keep his place on the throne since his own cousin is trying to usurp him. Both Cas and Em want peace, but will they be able to convince others that this is the right choice? I reread my Ruined review, and found that all the things I loved in book 1, are still there in book 2, but there are also more things to love. If you didn't love Emelina before, you are sure to love her now. She continues to be a strong and ardent leader, who is extremely dedicated to her people. There are a lot of compromises she makes or considers making in this book for the sake of her kingdom. I fully understand why she is willing to make these sacrifices, but my heart just can't let my brain lead on this one, and I found myself quite frustrated at times. Cas is still my favorite after this book. That man is so swoony. The way he laid all his cards on the table and was all in for a relationship with Em made my heart pitter patter. I like that he had some challenges, and that he had to reach deep inside and make some tough decisions. He actually grew a lot during this book, and I am eagerly awaiting what is next for him in book 3. This is such a Romeo & Juliet type love story, in that Cas and Em are from kingdoms that hate each other, but they still cannot resist their love. Even when they try, the universe continues to bring them back together. It's kind of beautiful that they can see the person beyond the race, and this idea is woven throughout the story. The more the story unfolds, the more we learn that not everyone hates the ruined. We learn about all the people, who actually advocated for better treatment of the Ruined or who don't hold any preconceived opinions of them, but rather take them on a person by person basis. Tintera expanded this world for us. We traveled to the southern part of Lera, as well as Oslo and Ruina. Tintera did a great job revealing the new parts of this world, and made a few interesting choices as well (Oslo!). I had to do a double take, when I first saw what she introduced in Oslo, but I guess they needed some way to be able to hold their own against the Ruined. Several villains emerged, with Olivia and Jovita emerging as the biggest threats. Jovita is making her power play in a traditional way, while Olivia is just plain crazy. Seriously, I am worried about her, and I hope that Em will be able to handle her. We meet some new characters, while others play a larger role in the story. I really liked the addition of Violet, yet another fierce female, who becomes quite an important friend and confidant to Cas, and the expanded role of Iria. Yes, Iria fast emerged as someone I was very fond of, but mostly because of her entanglements. Another character who got a lot of page time was Aren. As one of the strongest Ruined, I knew he would serve an important purpose, but Tintera let him become so much more, and I am looking forward to see what she has in store for him in the next book. Overall: Another great adventure with augmented political drama, battles, and nefarious plots. This one has definitely left me wanting for the next book, because I know something HUGE is going to happen. If you had an elemental based power, what would it be? Last week was a total contemporary bonanza! I started off with two amazing books: A Million Junes and Eliza and Her Monsters. Loved them! 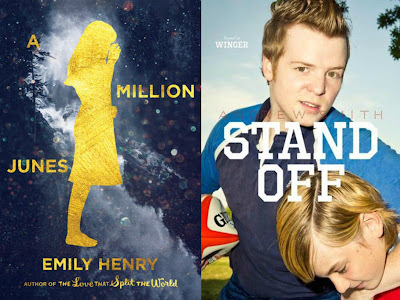 And the week continued to be strong packed with solid reads. I am listening to Hope Flames, and I am somewhat acquainted with the town from the novella, which was fun, so I sort of expect more of the same from this one. I am reading Romancing the Throne, which sounds like it could be fun, but the reviews are all over the place. I am just keeping an open mind with this one. I just could not wait any longer! I am reading Spellbook before a bunch of books that will be published earlier than it, but I am just an eager beaver. I am also pretty amped to read Words in Deep Blue, as I keep seeing raves for it. Since I am doing an admirable job knocking out my ARCs, I randomly selected one of my sports romances for this week, because I just love those sports romances. They are my guilty pleasure. Dana had just graduated from high school, and resigned herself to the fact, that she would waste the rest of her life away in Jessel, Georgia. After joining her best friend, Olivia, at an audition, she is offered a spot in the band. This is an opportunity to get out of Jessel for good, an opportunity for a future, but will she be able to choose that future over her best friend? Front and center in this book, is the friendship between Dana and Olivia. These two life long friends are described as being attached at the hip. Olivia has always wanted to be a star, and Dana was always there to support her. The friendship hits quite a few bumps during this story, as Olivia struggles with sharing the spotlight with Dana. For all these years, the roles have been clearly defined, and now, Dana is attempting to step outside of that box. There were so many times I wanted to smack Olivia in the face. I was just so disappointed with her, but then, she would do something to redeem herself. This back and forth went on a bunch, and I was pretty over wanting to salvage this friendship. That is probably what kept me from rating the book slightly higher. I also felt it was somewhat one sided. Dana was always expected to give and give and give. She was always supposed to put Olivia's needs above her own, and that is just not how healthy relationships work. That brings me to a part I really liked: the coming of age story. The three months in Orlando was quite a journey for Dana. She learned so much about herself, and exceeded her own expectations. She learned some hard lessons too, but I am happy to say, she was a better person at in the end. Her choices were not always the best, and they did not always yield favorable results, but she embraced the lessons learned, and those lessons helped shape her later choices. Now, for my favorite part - the romance! I really loved Alex and Dana together. I shipped them so hard, and it's because their relationship was everything that Dana and Olivia's was not. Alex brought out he best in Dana. He encouraged her, supported her, and believed in her. He forgave her when necessary, and was honest with her. He knew when to advance and when to retreat, but he would not allow Dana to weasel her way out of things just because they were difficult. He was the perfect first love for her, and I could not have asked for anything better for Dana. One thing that I thought was executed so well in this book, was that feeling of desperation and being trapped. Dana felt trapped in her small town. She felt imprisoned by her circumstances. She was poor and jobless with a mother who was a drunk. There was no college in her future. She did not have many opportunities presenting themselves. This is why the Orlando gig was so important. Why couldn't her "best" friend see that? Yes, this idea of feeling trapped with no future in sight is sort of heavy, but I thought the tone of the book was fairly ideal. When I looked at that cover, I expected something sort of fun, and Cotugno definitely delivered on that. The issues presented, were handled in such a way, that they did not weigh the story down. It was a great balance of heft and fluff. 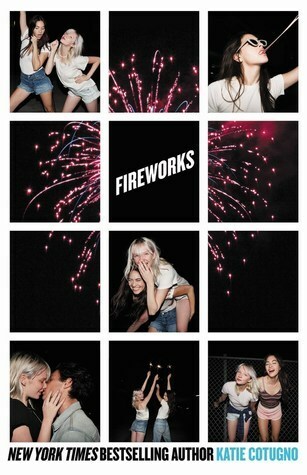 Overall: A fun and entertaining coming-of-age/romance with some great takeaways. Do you have a favorite boy/girl band? Lydia Whitfield has always had a plan to fulfill her obligations as her father's heir. She would run the family estate and than marry the man he chose for her before his death. She would marry for the sake of the estate, and there was no need for a love match. This all seemed well and fine, until Robert Newton entered her life. All of sudden, there were these feelings, and a kidnapping, blackmail, and a duel. I don't know what it is, but I find books set in the Regency time period so delightful. Everyone is so prim and proper even when they aren't being prim and proper. 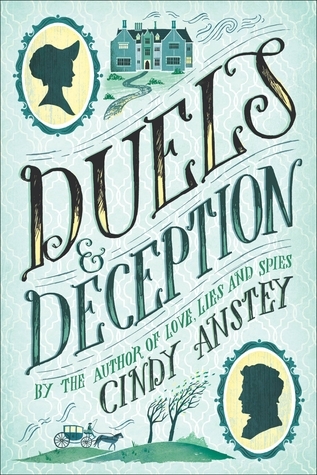 Duels and Deception pulled me right back to those genteel times, and kept a smile on face for essentially all 368 pages. Lydia was fabulous! In a time when women was supposed to be seen and not heard, she was bold, daring, and apparently overeducated, if you asked her uncle. She challenged the men in her life, and asserted herself often, but commonly did so for the good of others. "Barley, you do realize that I'm not ever going to be a mouse sitting int he background, nodding in agreement whenever you bother to glance in my direction?" Robert was just so charming. I fell instantly for him. He was so sweet and protective, and immediately began advocating and assisting Lydia, but it was even better in his head! He had so many swoony thoughts about Lydia, and well, I live for that stuff. "He knew she was saying something, but he couldn't hear her above the noise of his hammering heart and the buzz in his ears." The duels were quite amusing. The interactions were rather fun, and the final duel was a real hoot. Way to pick your weapon there, Robert. The deception was seamlessly woven into the story, and gave it that extra tension and intrigue. I did guess it, but for me, that's half the fun. There were a few twists that surprised me and some that made me laugh out loud too. The romance was perfect. I was discussing this with another blogger, and she pretty much nailed it, when she tagged it as "cute and low-drama". They had the pressure of society to deal with, as he had no title and she had an estate, but there was not all that OTT stuff, that can sometimes get on your nerves. Rather, Anstey did a fabulous job maintaining the overall tone of the book and aligning their romance to that. This book was fun and fancy-free, and you know I love my books that way. The story was engaging with a little mystery and suspense in there for good measure, and the result was a lot of smiling, laughing, and swooning from me. What weapon would you choose for a duel? 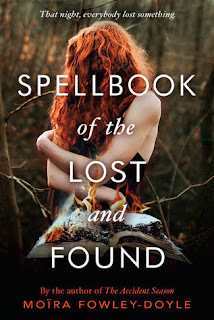 This week I can't wait for Spellbook of the Lost and Found. I was definitely excited. From the blurb, I am expecting another suspenseful tale, filled with lots of creepy moments, and I just CANNOT WAIT to read it. instantly want to read a book! 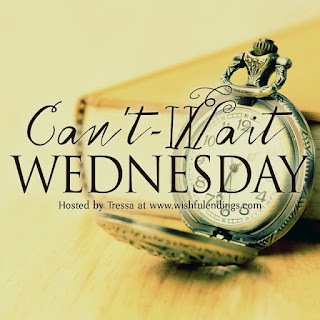 This week's topic made me think really hard about why I add a book to my TBR. I know, but the shear volume of books on my TBR, it seems as though I just add them all, but I really do have my reasons. After, examining some of my most recent adds, I came up with the following things. Note: This does not mean I will actually read the book, but it makes me want the book. It I've said it once, I have said it a thousand times: I am a shallow cover-ho. A pretty cover has the ability to stop me in my tracks, and make me read the blurb. 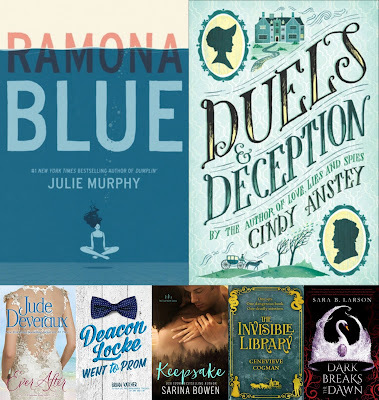 When I go to Hoopla, Overdrive, or Amazon, I will scroll through the pages, and it's the pretty covers that make me stop. Every. Time. 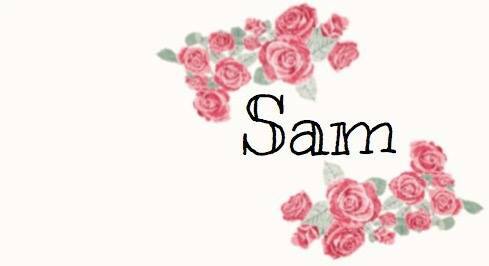 I have a list of go-to authors, and I will add their books to my TBR even if there is no cover art available. It's unbelievable, but true. There are just those authors, who you can depend upon to deliver a solid read, and I will always show my loyalty to them. I will also often add a lot of books after seeing authors on a panel. If I fall in love with the them or find them funny, I will immediately add their book to my to read list. You should see the growth in my TBR after BookCon! Another piece of information about me that is NOT classified: I like cute, fun reads. If the club seems fun or the cover looks fun or I read reviews that use the word "fun", count me in. I find reality oppressive at times, and books are my escape. I yearn for fun, fluffy reads, and if I can get multiple sources to attest to a book's fun factor, I am clicking that add button. I consider myself a contemporary romance reader. I am making an effort to diversify a little, while the other WLABBers are busy with school, but that is my niche. I love LOVE, and cold read romances 24/7. 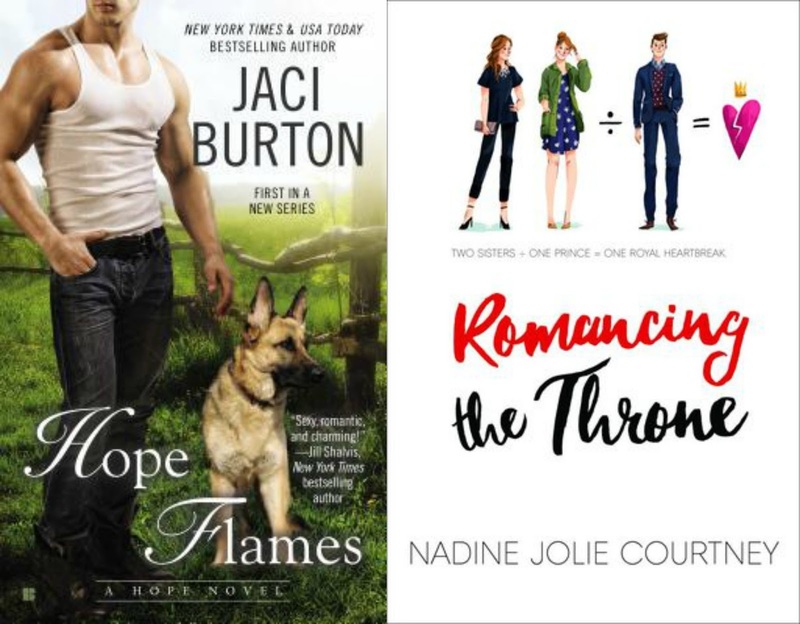 A good romance goes a long way with me, so if I see a cute contemporary romance, I will probably add it to the TBR. What can I say, I like to finish things I start. If I enjoyed the first book in a series, I will auto-add the next book. And, once I am in a series, I will probably finish it, because, well, I have already invested time and effort. I may as well find out how it all ends. I love a book has a break-out auxiliary character, and an author opts to give them their own book. Why does this delight me? Usually, it's because I don't want to leave the world. This spin-off gives me more time with the world and some of the characters. It sometimes means I can get an update on my past favorite characters. I just have problems saying goodbye, ok. I love Instagram. This is one of the social media sites I make an effort to visit daily, as I love looking at all the Bookstagram shots. When I keep seeing the same book over and over again, I want to know more about it. I want to add it to my TBR, because I don't want to be left behind. I know, it's a little irrational, but there must be a reason why everyone wants to take pictures of this particular book, right? Sometimes, I just want to read a book, because I can get it in my hot little hands. If a book is added to Hoopla or Overdrive, that means I can easily get the book, without having to buy it. Why wouldn't I add it? It's on Facebook, Twitter, and Instagram. Everyone seems to be adding it on Goodreads. There were fifty blog posts this week for it. I MUST add it! Again, I don't want to be left out, so I add it. This does not happen as often as you think it does, because I am often leery of too hyped books. But, I would be lying, if I said it never happened. Another author saying lovely things about a book, will often make me want to add the book. Why? Because they are writers, so they must know what good writing is. They have that professional expertise. Honestly, I will read a book, because an author I love or respect blurbed the book. That's quite an endorsement. I had a decent reading week. No 5-star reads, but plenty of good, solid books. 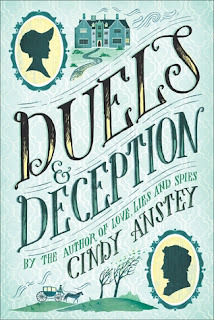 I was quite delighted by Duels and Deception, and it was my favorite of the week. Keepsake is the last book in the True North series, and it was another solid addition to a series that has surprised me. Who knew I would love all these damaged heroes so much? 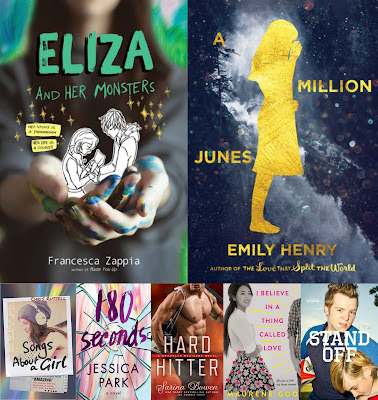 Of my reads this week, I am most excited for Eliza and Her Monsters. Once again, I was fortunate enough to get approved for one of my WOWs. I swear! I squeed out loud when I saw my approval notice. 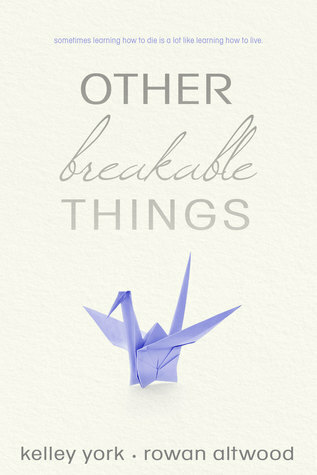 This book is sort of a teen version of Me Before You. When I think about Me Before You, I start to get weepy, and well, Other Breakable Things is having the same effect on me. Luc has spent most of his life in and out of hospitals due to a heart conditions. Although he was lucky enough to receive a transplant, the new heart is failing him as well. With another transplant and endless hospital stays looming in his future, he begins to explore his options, euthanasia being one of them. He sets out to Oregon with his best friend, Evelyn, in hopes of obtaining the medication, that will allow him to die with dignity. When Evelyn learns of his plans, she hopes to change his mind by showing him all the things he should live for. The simplest sign of affection seemed beyond him, but his kindness when it came to me...maybe it was subtle, but it was perfect. I knew this was going to be sad from the synopsis, and even though I was prepared, I am still a snotty mess. This was a legit sadness rollercoaster. I started with some sniffling, which lead to my eyes getting shiny. Then, a few tears fell, until, I was finally sobbing. So, bravo to the authors, you made me care. My heart aches for Evelyn and Luc, and therefore, I must commend you on this accomplishment. I'm with Luc until the end, whatever and wherever that end may be. As far as the story is concerned, I really enjoyed the road trip portion, and I was totally over the moon when they were in Vegas. I was pleased with the way the authors dealt with Evelyn's feeling of never being a priority towards the end of the story. I think it was important to give to the reader. No, her mother couldn't understand. Our magic is the kind that doesn't go away. I am more a fan of the light and fluffy and happy books, so this one was tough for me. This is just tragedy served with a side order of tragedy. I am emotionally drained from reading it, but there was a lot of really beautiful moments in this books. "Mm...The aquarium, my birthday. I think. What about yours?" He was my favorite thing ever. Overall: If you like tragic love stories, this is a book for you. Luc collected butterflies and Evelyn loved origami. Do you like butterflies or origami?